Didn't one of you have one of these? 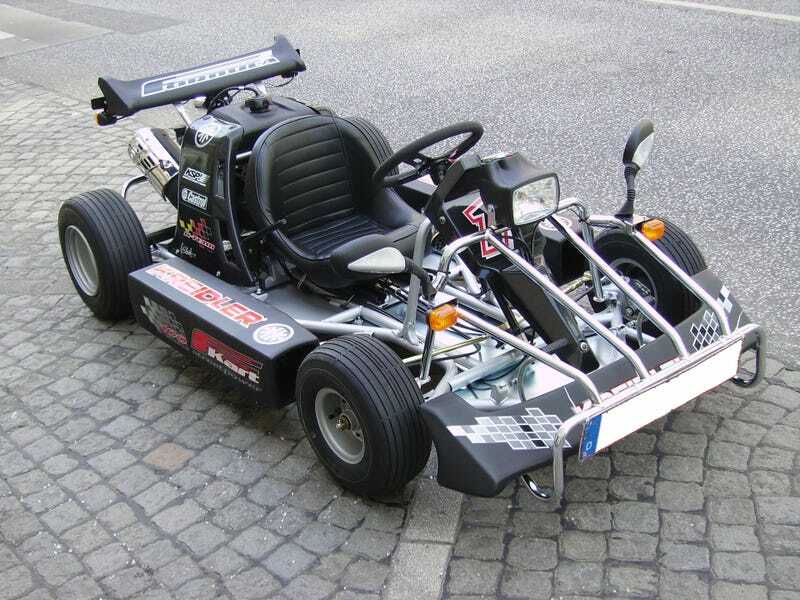 This Kreidler F-Kart (no idea what that means... crazy Germans) is a bona-fide road legal machine, at least by EU standards. I was planning on getting one of these for the year I'll be living in Germany. Where should I look for cheap ones? Is this really a good idea? Just kidding, don't answer that last question. I already know it's the BEST IDEA EVER! I saw an SL500 on Thursday!